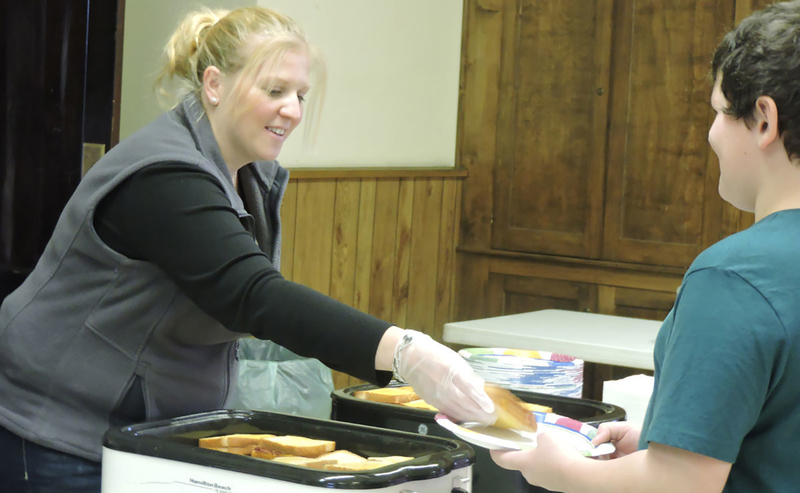 Tina Cowger, WVU Extension agent in Marion County, serves a turkey sandwich to 12-year-old Elias Beto in the Central United Methodist Church Monday. FAIRMONT, W.Va. – Though they won’t be eating in the school lunchroom, students from around Marion County have their afternoon meals covered this week. With a call to action from teachers of the county schools, members of the community have supplied food to be given to students in need while school is out for the work stoppage. On Monday, the food donated and collected was available for these students to pick up and eat at several spots in the county.